Informative Video for Sleipner E550 Transport System Moving a Giant Komatsu PC5500 Hydraulic Shovel. Free Download Catalogue for Komatsu PC4000 Hydraulic Shovel & Front Shovel - Features & Specifications in Full PDF. 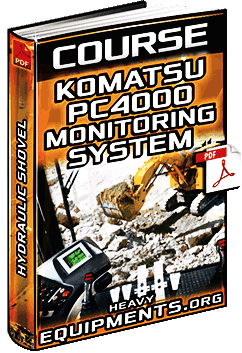 Free Download Course for Vehicle Health Monitoring System for the Komatsu PC4000 Shovel - Components in Full PDF. Free Download Course for Komatsu PC4000 Hydraulic Shovel Application - Loading, Times, Design & Selection in Full PDF. 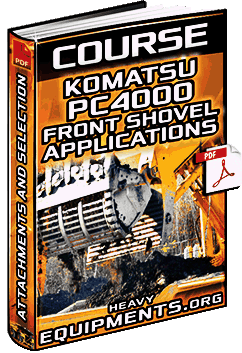 Free Download Komatsu PC4000 Hydraulic Mining Shovel Application - Front Shovel and Backhoe Course in PDF and Full. Free Download Komatsu PC4000 Hydraulic Mining Shovel Technology - Systems and Components Course in PDF and Full. Free Download Komatsu PC8000 Hydraulic Shovel and Excavator - General Assembly Procedure Manual in PDF and Full. 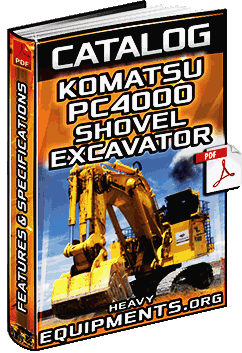 Free Download Komatsu PC1100-6 Hydraulic Excavator and Shovel Specifications in PDF and Complete.